Forensic Sculpting Workshop offers the latest way to bring closure to the hundreds of families of the unidentified. A slew of recent CSI-themed shows and cold case docu-dramas like Discovery's FBI Files and The New Detectives have put the spotlight on and intensified America's fascination with forensic science. Now, a new hands-on workshop will reveal the secrets behind the art of forensic sculpting, a critically needed approach to forensic identification. Led by internationally renowned sculptor and movie make-up FX artist Seth A. Wolfson, this intensive four-day workshop will be held at the Mississippi Museum of Art in downtown Jackson on February 17 Â 20, 2006. Forensic sculpting, a respected but somewhat mythical craft, has its importance and has been in use for a long time, but unfortunately, it has few practitioners. In today's world, identifying the dead can be a long and difficult process. Because not everyone is fingerprinted or has dental records, identification is sometimes impossible. That's why sharing this information and growing the number of capable forensic sculptors is important. Forensic sculpting was not well known until it was used recently to reconstruct King Tut, but it has since become widely sought among police departments and crime solving agencies across the nation as a means to identify the dead. 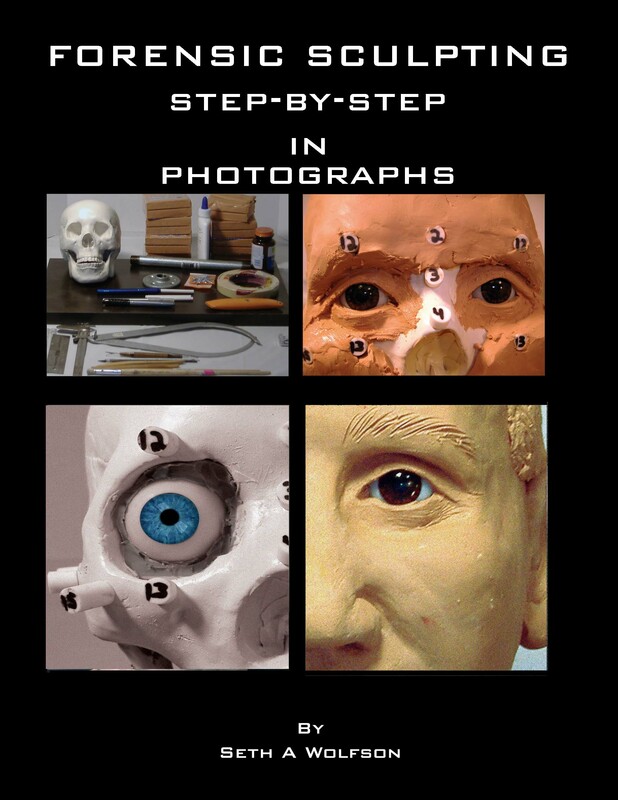 Wolfson's "Forensic Sculpting and Silicone Molding Workshop" and recently published, critically acclaimed book Forensic Sculpting: Step-by-Step in Photographs will shed light on the process. The workshop and book coincide with the launch of his website http://www.forensicsculpting.com. With the workshop, book, and website, Wolfson makes it easy for laypeople both young and old to understand and implement the techniques used by forensic detectives to solve crimes. 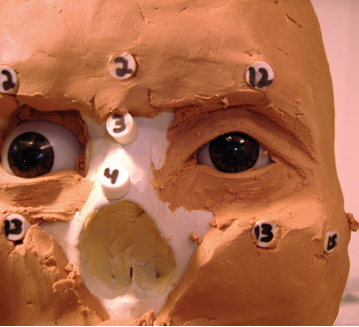 The "Forensic Sculpting and Silicone Molding Workshop" shares the techniques new artists can use to help identify John and Jane Doe's for their local police. With this workshop, Wolfson, a member of the cold case-solving global teams Doe Network and Project EDAN, boils it down to the essentials by providing information on what tools and materials novice sculptors need and where to buy them, including clay products and the all-important test skull. He will even teach how to make a silicone mold of a human skull and reproduce an exact copy in plastic similar to the CSI television shows. This method is not shown in most schools and is an invaluable tool for anthropologists and archeologists. The workshop is based on Wolfson's aforementioned book Forensic Sculpting: Step-by-Step in Photographs. Chapters are devoted to detailed instructions and accompanying color photography that show how to create identifying facial features. He has garnered favorable book reviews in upcoming forensic journals and other words of praise, including from policemen who have benefited from Wolfson's skill and dedication to the craft. The field of forensic sculpting may be creepy to some, but for forensics "fans" interested in a new career or hobby, it can provide the critical help resource-strapped police departments need to crack cold cases and bring comfort to grieving families and communities. About the Seth A. Wolfson Â Wolfson was born in Willow Grove, Pennsylvania, a suburb of Philadelphia. He got started in the mid-80's as a professional make-up FX artist in film and television while still in high school. Eventually, Wolfson left Pennsylvania after teaching at The Art Institute of Philadelphia. He moved to Orlando where he made wax figures for Ripley's Believe It or Not!, worked on animatronic dinosaurs for Universal Studios, and even created some hoaxes for Haxan Films, the company that made the Blair Witch Project. After teaching in New York City, Wolfson now resides in Mississippi where he is lead sculptor for Alatheia, a medical prosthetics company known for creating the most realistic prosthesis available. He is also a freelance forensic sculptor currently setting up his Mississippi-based workshop as well others in New York City. What: "Forensic Sculpting and Silicone Molding Workshop"
Price of Workshop: $550.00, includes cost of book and materials. 50% non-refundable deposit required to hold space. Final 50% due by January 1, 2006. Enrollment after Jan. 1st, 2006 requires immediate payment in full. Class space is limited to 15. see website for discount schedule.